Dead Sea Moringa took home two awards at the recent Natural Products Expo West 2014 trade show in Anaheim, California. 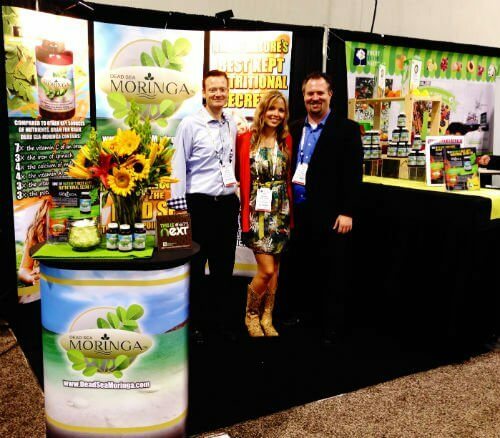 Dead Sea Moringa took home two awards at the recent Natural Products Expo West 2014 trade show in Anaheim, Calif. The supplement, known for its unique formula leveraging the power of the nutrient-rich Moringa plant grown in the Dead Sea region, was recognized for the quality and innovation it offers as a completely natural product. Dead Sea Moringa is a rich source of vitamins and minerals, and it also offers a wide range of anti-viral, anti-bacterial, anti-fungal, anti-allergenic and anti-oxidant properties. The brand received both a Nexty award nomination, as well as The Editor’s Choice award from Engredea & Functional Ingredients. “It was a tremendous honor for Dead Sea Moringa to be picked for these two awards out of the more than 2,600 exhibitors in attendance at Expo West,” said Paul Marcellino, president of Dead Sea Moringa. “This is another great example of the way in which our supplement is making a huge impact here in the American market. There is truly nothing else like it and the judges for these awards could clearly tell.” Todd Runestad, Editor-in-Chief of Engredea, expressed his confidence when he said, “We were excited to award Dead Sea Moringa and are expecting to see great growth for this company. Dead Sea Moringa has a sustainability play at the core of its mission. Such values-based companies are the ones that last.” The “Buy One Get One Tree” project is the sustainability program that Runestad was referring to, as with each bottle of Dead Sea Moringa sold, one Moringa tree will be planted in a developing country to feed the malnourished. The Nexty award nomination recognizes brands for being innovators and thought leaders at Expo West 2014. Nominees are categorized into the areas of Natural, Organic and Functional Foods and Beverages, Supplements, and Natural Living products. 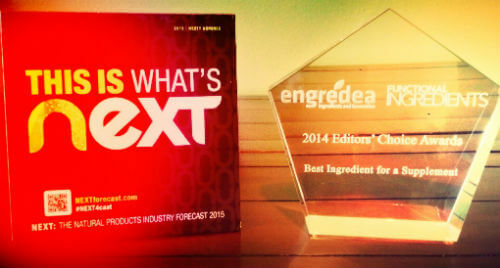 Nominees that receive the award will now be featured in “Next: The Natural Products Industry Forecast” publication. The Editor’s Choice award honors brands for best Ingredient for a Supplement, Best Science, Best Botanical, Best Marketing Campaign, Best Ingredient for Beverages, Most Valued Partnership, Best Ingredient for Food and Most Unique. Editors of Engredea and Functional Ingredients magazine explored the Expo West showroom looking for brands that met their strict guidelines. Dead Sea Moringa was one of just six brands selected out of more than 2600 exhibitors and was awarded Best Ingredient for a Supplement! The Moringa plant is a nutrient-rich food source that people have used to treat a variety of health issues for hundreds of years. The Dead Sea Moringa supplement provides 90 distinct nutrients, including 47 antioxidants, 18 amino acids and 12 vitamins and minerals, making it one of the most nutrient-packed supplements worldwide. It also contains high levels of vitamin A, C and E, iron, calcium, potassium and protein.